Don’t miss your opportunity to attend Judy Freeman’s 31st annual Winners! conference taking place at three NJ locations, April 22nd, April 23rd and April 24th. There is still time to register for this wonderful and informative conference. Books, Bytes & Beyond is pleased to be returning as the book seller at these events. Judy is a well-known speaker and writer on reading aloud, storytelling, booktalking, and all aspects of children’s literature. We have provided the link to detailed information as well as registration for Judy’s conferences below. Judy Freeman’s wildly popular book and idea-packed full-day workshop, has been presented every spring in New Jersey since 1984. Judy’s WINNERS! Workshop offers innovative and practical ways to use the best of the year’s children’s books for curricular connections, thematic tie-ins, resource-based learning, and just plain fun. It’s a field day for K-6 classroom teachers, school and public librarians, library aides, reading specialists, curriculum coordinators, administrators, parents, and other children’s literature-lovers. 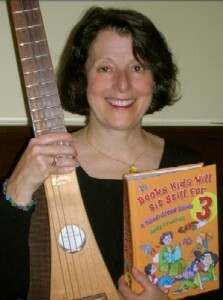 For more details and to register, go to http://www.judyreadsbooks.com/ and click on Judy’s Workshops then click on Winners!